Beauly lies on the north bank of the River Beauly close to the point at which it enters the Beauly Firth. The settlement grew up around Beauly Priory, which was established here in 1230. For many centuries a ferry from the priory, and later the town, provided a key link for anyone travelling north or west from Inverness. In 1814 the Lovat Bridge was completed across the River Beauly a mile south west of Beauly by Thomas Telford. Beauly subsequently became a key staging post on the new roads Telford built to the far north and west of Scotland. It was only in the late 1970s that the completion of the Kessock and Cromarty Bridges finally allowed through traffic to head directly north on a new A9 from Inverness, bypassing Beauly and considerably shortening the journey to Wick and Thurso. 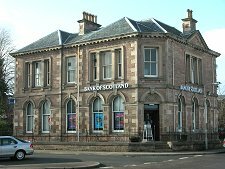 Beauly also featured when the Inverness and Ross-shire Railway headed north in 1862, passing around three sides of the town. 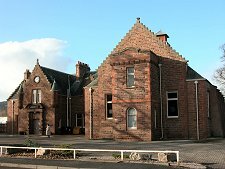 The line still operates, though in 1960 Beauly's railway station closed, only to reopen more recently. 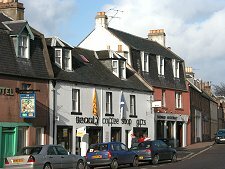 The name Beauly comes from the French "beau lieu" or "beautiful place" and it is often said this comes from a comment made by Mary Queen of Scots during a visit she made to the town in the Summer of 1564. Mary may well have liked Beauly, but the name actually dates back to the arrival here of the French monks who set up the Priory in 1230. Beauly has obviously changed greatly over the centuries, but the name is not out of place even today. At its core is the very broad main square, with the A862 (which formed part of the main A9 until 1979) passing through its centre. 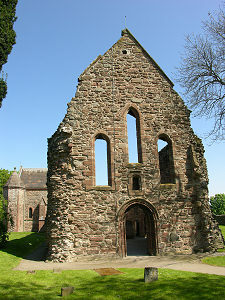 At the eastern corner of the main square are the ruins of Beauly Priory. 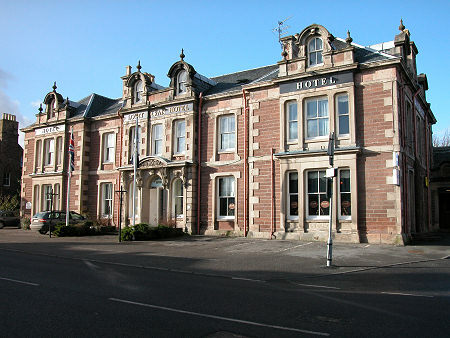 Close by is the Priory Hotel, while Beauly's largest hotel, the imposing Lovat Arms Hotel, overlooks the main road south west of the square. Like many other buildings in the town, it is built from a very striking and attractive red stone. 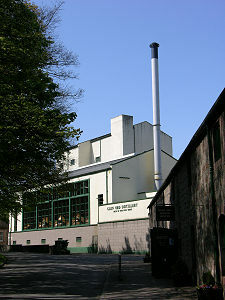 A range of different industries have operated in Beauly at different times. A distillery opened here in 1770, but lasted only 60 years before closing. The industry still thrives nearby and Muir of Ord, just three miles to the north, remains home to the Glen Ord Distillery. Another local industry also echoes early activity in Beauly itself. It seems highly likely that the monks from the Burgundy region of France who came here in 1230 attempted to produce wine here, despite the northern climate. This tradition continues today at the Moniack Castle Winery, four miles along the road towards Inverness from Beauly. This produces and sells a wide range of country wines.